Viewed from Coleshill Street, the east elevation of Holy Trinity Parish Church can be seen to have three large windows, the central one is in the oldest part of the building, the Chancel, while the flanking ones light the two side chapels. The chancel window rises to a sharp point at the top, whilst the others are more rounded. The Chancel window is in the Gothic style of architecture which prevailed throughout the Middle Ages, culminating in the “Perpendicular” splendour of Kings College Chapel, Cambridge, completed in 1515. The two chapel east windows date from a time when the Renaissance - the “new learning” which changed the whole ethos of the age - was flourishing in England, and architecture was turning away from the gothic style. 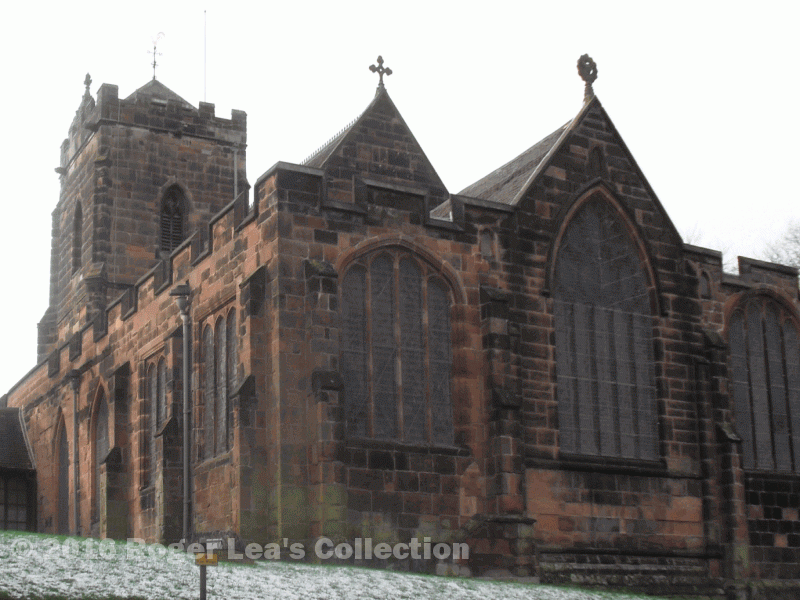 Sutton was incorporated as an independent town in 1528, so the church no longer benefited from the patronage of a powerful lord as it did when the Chancel was built. However, a powerful and wealthy bishop, a native of Sutton, was intent on improving his home town. In the 1530s John Vesey, Bishop of Exeter, transformed the church. Two side aisles were built on either side of the nave and the former north and south walls of the nave were replaced by pillared arcades of elegant arches. The plain tower was ornamented with battlements to match the new aisles, and the church took on its present appearance. Riland Bedford remarks “In 1530 he gave the church an organ, and three years later built two side aisles or chapels to the chancel, which bear to this day marks of the renaissance influence in architecture which was beginning to debase it” and comments that Vesey probably admired a new church in Paris on one of his diplomatic missions. The windows in the south wall are a puzzle - the two lighting the south chapel are three-light round-topped mullion windows set in a square frame or architrave, the renaissance style deplored by Riland Bedford, while those of the south aisle are gothic - double lancet windows. Norman Evans accounted for this by noting that Vesey gave the church a pair of organs which were installed in the south chapel in 1530, so the chapels must have been built before 1530, whereas the aisles date from 1533. 1533 was the year when Thomas Cranmer was installed as Archbishop of Canterbury (Vesey was one of the Bishops who consecrated him), presaging the foundation of the Church of England the following year. Perhaps Vesey reverted to the perpendicular style as more appropriately English whereas the renaissance style he had introduced a few years earlier was now seen to be associated with the hostile Roman Catholic Church. Holy Trinity Parish Church, showing the east windows. On the left is the South Chapel, with buttresses, battlements and renaissance windows, while beyond is the South Aisle , probably built a few years later, with Gothic windows, seamlessly continuing the line of the South Chapel wall thanks to the skill of the masons employed by Bishop Vesey.